Guest Services and Concierge Services - TEXAS STYLE! We can't wait to help you have fun on Mustang Island! Are you looking to simplify your vacation, or create a memorable experience for loved ones? 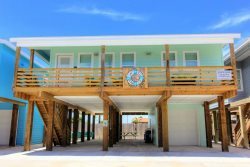 Tradewinds Vacation Rentals will go above and beyond to make your stay in Port A enjoyable. Tradewinds offers a variety of additional guest services to insure that your vacation creates a memorable experience. Please contact us to discuss your requests before you arrive or during your stay. We will help you make arrangements to procure Golf Carts, Bicycles, Surf Boards, Boogie Boards, Kayaks and whatever else we can arrange so that your time in Port Aransas is fun and relaxing.